The University of Konstanz is in the "QS Top 50 under 50", the 2015 ranking of the 50 best young universities worldwide, where it is listed as the best German institution. It is one of the eleven German “elite universities” which have been selected by the Excellence Initiative of the German Federal and State Governments, and one of only five of those universities which have been able to hold their elite status throughout both phases of the Excellence Initiative since 2007. Research in the Department of Physics focuses on the physics of nanostructures and mesoscopic systems, soft condensed matter physics as well as on ultrafast optics in both theory and experiment. 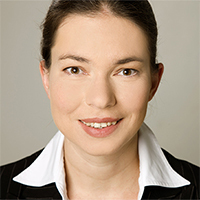 Prof. Eva Weig is leading the Nanomechanics Group. Research interests include dissipation, transduction and coherent control of high Q nanomechanical resonators, nonlinear dynamics and coupling phenomena, nanoelectromechanical systems, and cavity optomechanics with nanoscale resonators.